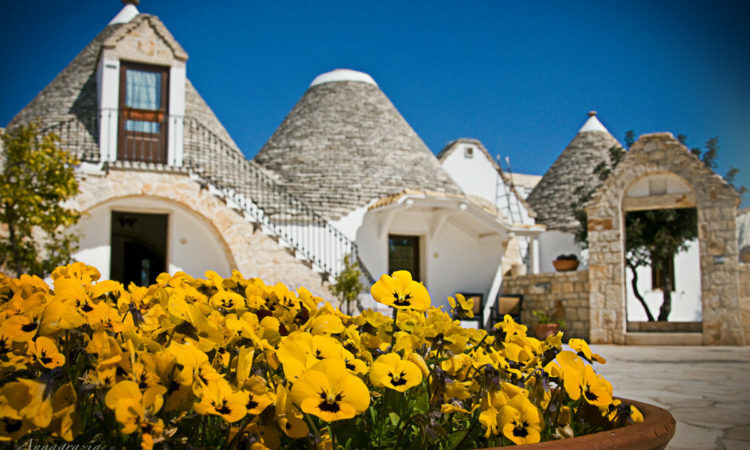 This is the largest and most characteristic Trullo accomodation in the structure. 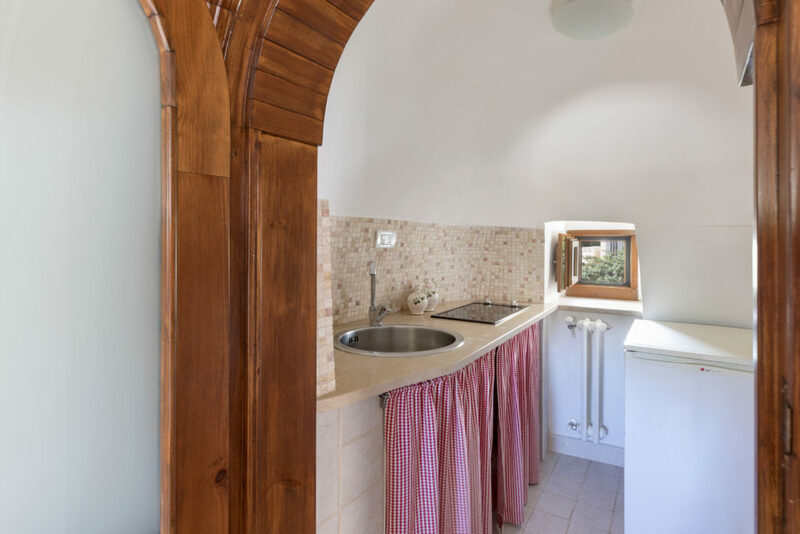 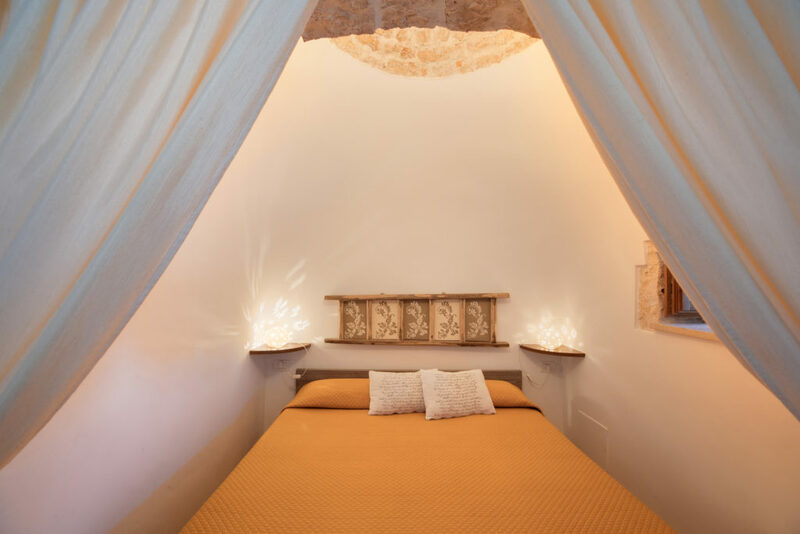 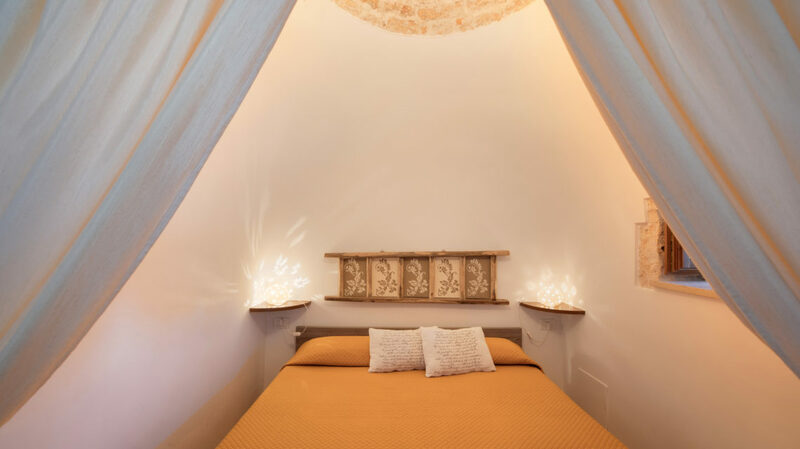 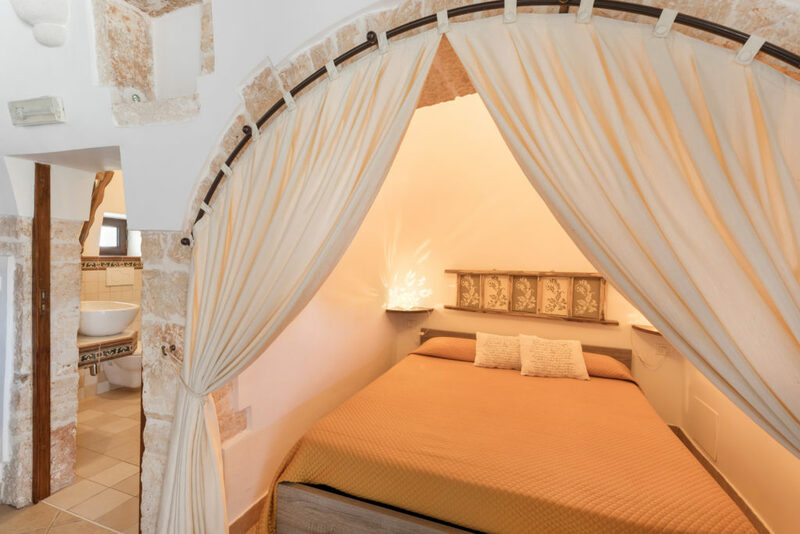 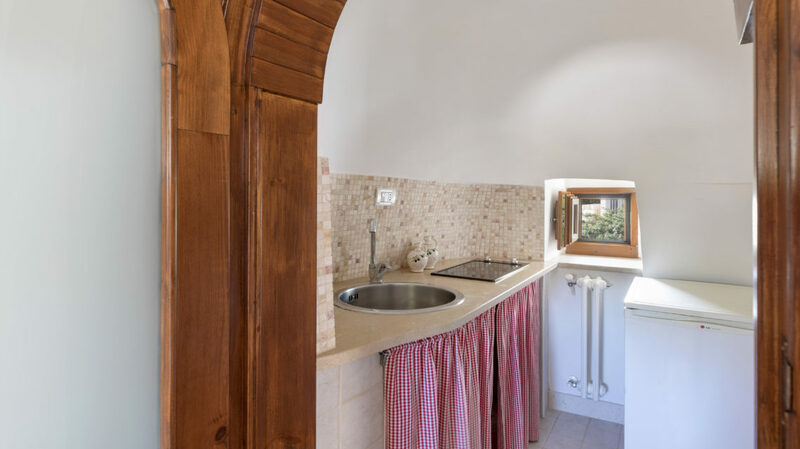 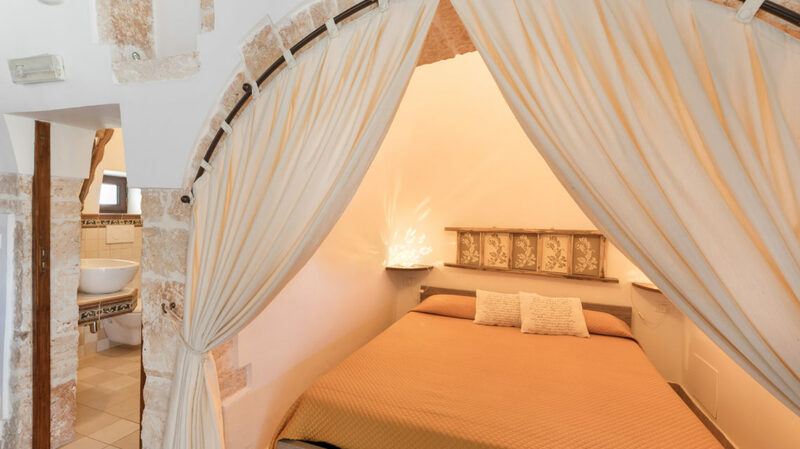 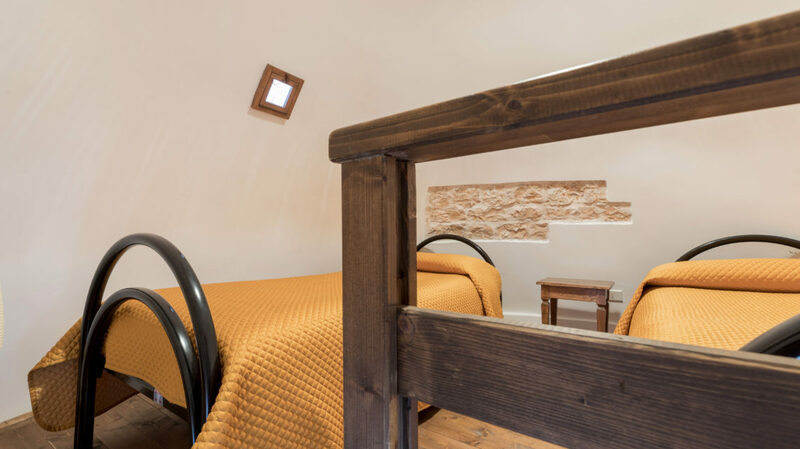 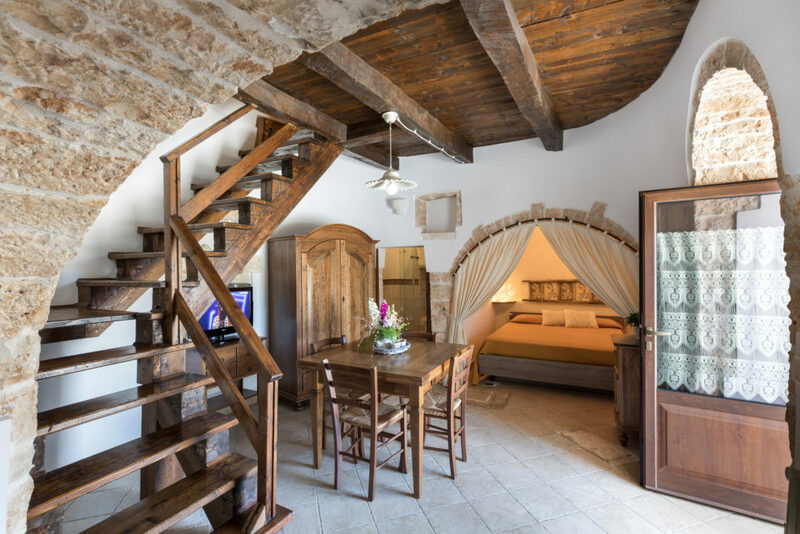 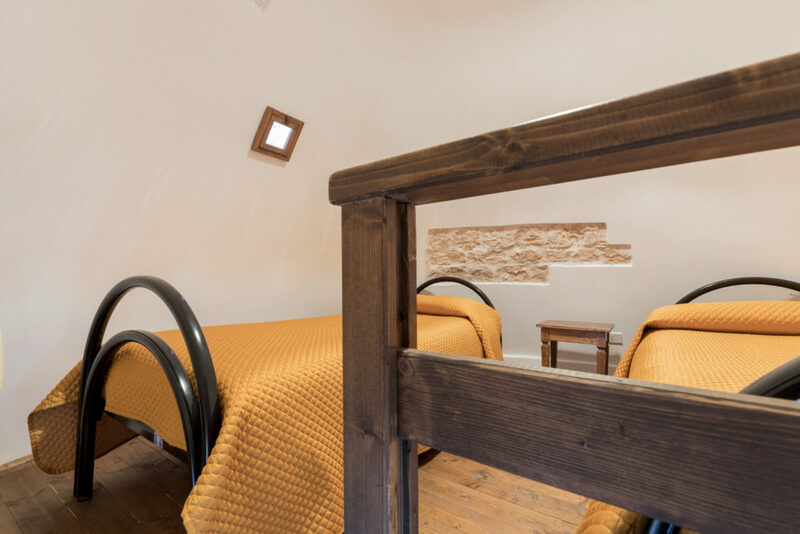 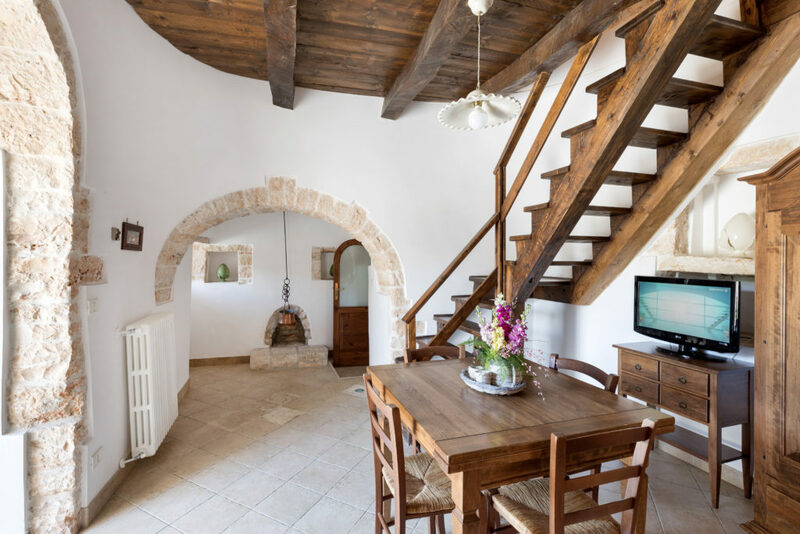 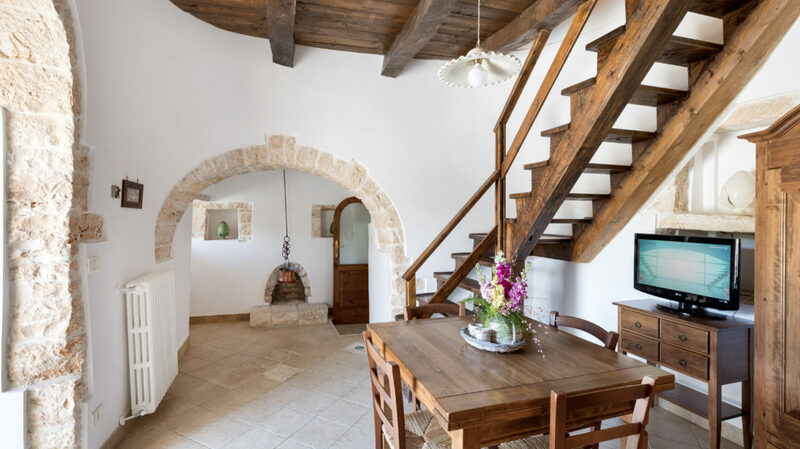 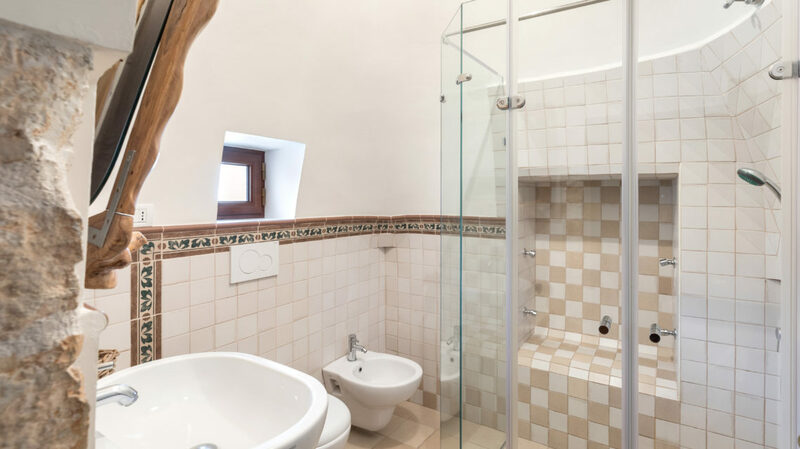 The comfortable Junior Suite Trulli house has an entrance hall with living room, the old fireplace, a wooden attic in the top of the cone with 2 single beds and a Romantic alcove with Double bed. 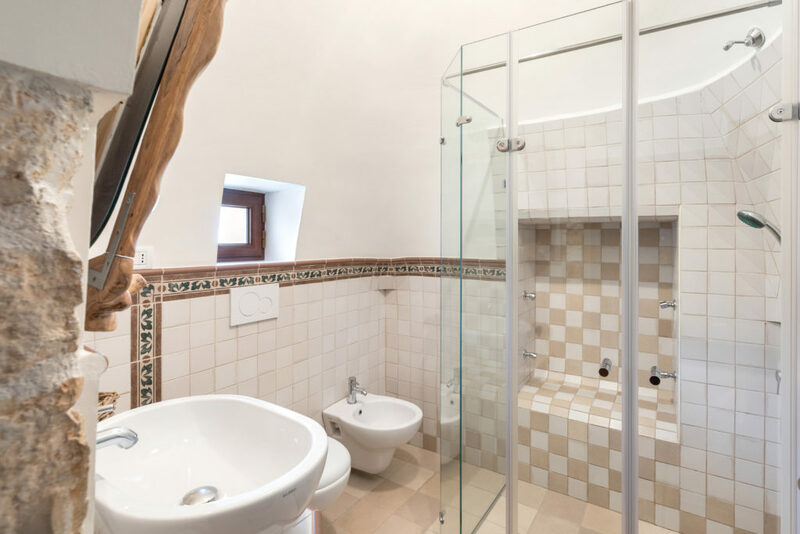 Bathroom with shower with hydromassage en suite. 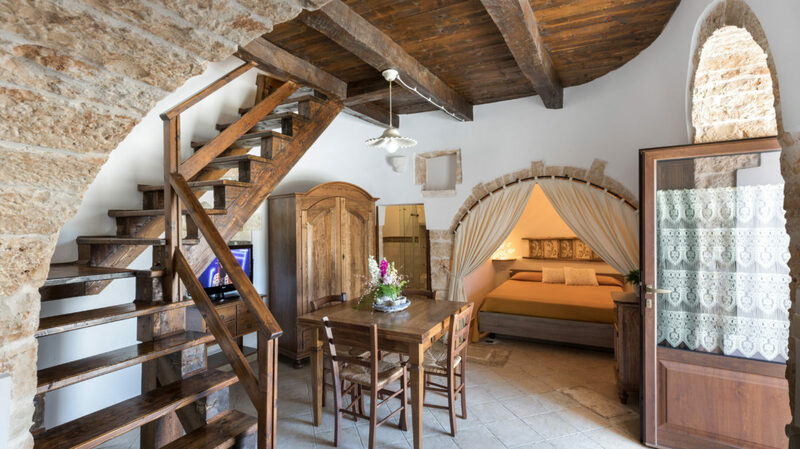 It also has a fully equipped kitchenette, minibar and TV.